... survived to write the story. each individual beer had to cost less than $1, or no more than $6 a six-pack. This was a blind tasting, with beers served in unmarked cups. Participants were asked to rate the beer on a scale of 1 to 5 on the overall taste -- this was relative, given the quality of beer -- and a separate score of 1 to 5 based on how refreshing the beer would feel on a hot summer day. The entrants were Shaefer, Miller, National Bohemian, Pabst Blue Ribbon, Schlitz, and Bud Light. Before we go any further, keep in mind that, even though American factory workers may have produced these beers, none of the breweries involved are independent. In fact, Pabst does not even own a physical brewery; it exists merely as a marketing company —albeit,a clever one. The legacy brands of Shaefer, Schlitz, and, of course, PBR, are all brewed for Pabst by Miller. Natty Boh (National Bohemian), many years ago was the pride of Baltimore. Now, however, it is brewed by Miller for Pabst in (gasp! hon!) Eden, North Carolina. And Miller, itself, is owned by London-based South African Breweries (SAB) —and you're going to get dizzy now— which has merged its US operations with Molson (which owns Coors), and is called MolsonCoors. Anheuser-Busch may still brew Bud Light, but the company was sold last year to Brazilian-Belgian conglomerate InBev, and is now called Anheuser-Busch InBev (ABIB). I'm not saying anything, but ... I'm reminded of a Simpsons cartoon episode in which Barnie and Homer tour the Duff Brewery. They spy a pipe carrying beer into the bottling room from the fermentation cellar. There, it's split into a 3-way manifold, and bottled separately as Duff, Duff Light, Duff Dry. The brave Going Out Gurus' decision? "Tasteless and slightly reminiscent of saliva." The winner, so to speak, was National Bohemian. The last time I can claim to have tasted a Boh was 2001 at Sisson's, when the bottles were on the brewpub's guest list. I remember being very impressed ... impressed by the facility of a brewery (I believe at that time, a Texas location) to deliberately produce such a wretched beer. The surprise winner was Baltimore's own [not...see above] Natty Boh, which testers rated highest on flavor and third for refreshment. Some of the praise: "The best one -- actually tastes like beer!" "High carbonation and the most hops." "Zesty ... got a little more kick." Yours For Good Fermentables.com can't be overly righteous. We were recently caught on camera guzzling a Corona ... from a bottle. Baltimore Sun beer blog: reminiscences of past Natty Boh employers. Is Baltimore a Beer Town: brief history of National Brewery in Baltimore. During its long-past heyday, Shaefer had a commercial jingle that boasted that "Shafer is the one beer to have when you're having more than one." I checked yesterday's visits to MY blog http://www.yfgf.us. 62 hits were mistaken identity searches (Michael Jackson, the beer writer) for Michael Jackson (the pop singer). I'm writing a blog post on the 12 MUST FOLLOW beer Twitter-ers. Please email me with your suggestions, and why: http://www.YoursForGoodFermentables.com. From National Public Radio: S.C. Governor Sanford was in Argentina: http://tinyurl.com/kwu3kt Comment from @bruisinales: What?? Didn't know the Appalachian Trail was that long! Happy Summer Solstice! It's all downhill after today -fewer daylight hours, that is. 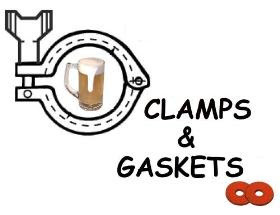 Last week's Clamps and Gaskets round-up was delayed. I had been in Leesburg, Virginia at the Northern Virginia Summer Brewfest, doing cellarman duties. [Photos here.] So, in anticipation of future delays, I'll be moving publication of Clamps and Gaskets to Mondays. The weather-folk are saying that storms on Friday should clean out the air. Saturday will be sunny, less humid, and with temperatures in the low 90s. Sunday should be the same, but with a few more clouds. 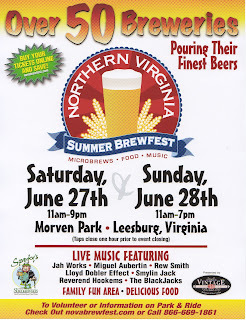 That sounds like ideal summer beer festival weather... for the Northern Virginia Summer Brewfest in Leesburg, Virginia. 'A Celebration of American Beer' will be held at Morven Park in Leesburg, VA, from 11am-9pm Saturday, and 11am-7pm Sunday. The BrewFest will feature over 50 of America’s best breweries, a variety of food to complement the craft beers, and great Virginia local and regional bands to entertain you. Admission tickets for the BrewFest purchased on the day of the event will be $25 for a sampling ticket. Admission tickets are available prior to the opening of the event for $20. For the first time, the festival will feature casks from several breweries in addition to the very large choice of kegged beer. 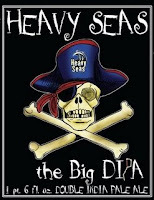 The firkins from Flying Dog and the Clipper City will be served via handpumps. More on the festival from Musings over a Pint: lineup and shuttle bus. If you're Tweeting at the fest, please use hashtag #novabrewfest. For Flickr, TwitPic, etc., please use NovaBrewFest as a tag. UPDATE: photos from day one now posted. A bowl of Chilled Pea Soup —paired with a cold draught Wolaver's Organic Brown Ale— was just the right meal and tonic for a warm June afternoon. Chilled (but not ice-cold), thickened simply from the purée (but not unctuously so), highlighted with yogurt, and accented with pine nuts and fresh dill. The Brown Ale picked up on the toasted notes of the pignoli. Served yesterday at Vermilion Restaurant in Alexandria, Virginia; created by Chef Anthony Chittum, who graciously shared the recipe. Add peas and cook until soft …transfer to ice bath and chill. Repeat this process with the pea shoots and mint. Remove pea shoots and mint from the ice bath and rough chop. Remove peas from water & place in blender with blanched mint, shoots, roasted garlic, s&p, ice and enough water to make a soup consistency. Puree on high speed until very smooth. Mix the pine nuts, dill and olive oil in a small mixing bowl. Divide the soup among four soup bowls. Spoon in the olive oil mix into the center of each bowl of soup. Drizzle with the yogurt and serve immediately. Thursdays at Yours For Good Fermentables.com are meatless Thursdays —as inspired by VeggieDag in Ghent, Belgium. Tom Balthazar [mayor of Ghent, Belgium] has officially declared Thursday meatless in his city of nearly a quarter million people. In an effort to make the connection between meat consumption and greenhouse gases (18 percent of which come from livestock production), Balthazar has asked his fellow civil servants to abstain from meat every Thursday. Keeping with the 'good fermentables' aspect, I'll often inveigle beer or wine (or spirits) into VeggieDag. Submissions are welcome from chefs, homecooks, food writers, etc. I am composing a blog post on the essential dozen Twitter-ers of beer. If you're on Twitter, and have a candidate (and it could even be you), leave a comment below or email me. Obviously give me the @Twitter name, but also the reason(s) why this person should be followed on Twitter. For instance, a candidate might post about the place in whic h they live, but they should also post about the beer world in general. Likewise, any one area of expertise would be a qualification, but more so would be an interest in several topics of beer. And: Links to interesting stories should outnumber unconnected replies to unknown Tweets. Links to one's own blog should be only occasional. Clarity of composition preferred. As an example, see this suggested list of wine's top Twittering dozen. There are heroes in our brewing world, many of whom many of us will never know. But, behind the scenes, these unheralded folk do great work creating and bringing us our beers. And sometimes they do more —much more— than that. Around 10:00am on Friday, April 10 2009, Mark D. Moynihan was preparing to do a welding job inside a brewery vat at Calhoun's in Knoxville. While inside the vat he told others he was having a hard time breathing in the confined space. Someone opened a valve to pump oxygen into the cooler for him, and when Mark sparked the torch, it immediately exploded. Mark was able to climb out of the 18 inch opening where others extinguished the flames. Mark was transported to UT Medical Center in Knoxville, where he was initially assessed and the determination was made to transport him immediately to the burn unit at Vanderbilt Medical Center. Due to severe weather, the medical helicopters were grounded and he had to be transported via ambulance. During transit, there were severe thunderstorms and 6 tornadoes touched down in the path from Knoxville to Nashville. He arrived at Vanderbilt around 2:30pm CST, with family members arriving from various directions shortly after. Dr Guy assessed Mark upon arrival and began him on hydrotherapy preparing him for surgery. He met with us at that time and gave us the report none of us were prepared to hear. Mark has third degree burns on 98% of his body. After fighting what must have been an excruciatingly painful battle, Mark Moynihan —homebrewer and good beer partisan— passed away yesterday, 23 June 2009. I never knew Mark personally, but I came to know him through the wonderful, loving blog his brother-in-law wrote. My condolences to Mark's family, and to all who knew this courageous man. All of us have a lost a brother-in-beer. Read more at Mark's Marathon. This can be a cautionary tale. Governmental safety watchdogs and their regulations —as officious and burdensome as they may occasionally be— exist to forestall tragedy. Bill Madden is a doyen of brewers in the Washington, D.C. area. For the past 14 years, he has brewed at other people's breweries. Now, he's planning to open his own —Mad Fox Brewing Company— a brewpub in Falls Church, Virginia. 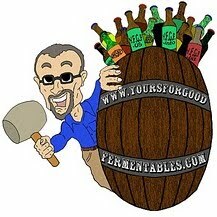 Beer blogger HolzBrew recently interviewed him. a great friend of mine and current business partner, Rick Garvin, started to mentor me on how to go about developing a business. We would talk and then I would be given a task list to go out and work on and then I would get busy with a beer festival or some other distraction. The business took longer and longer to develop. The beers will be similar to those Madden brews now at Vintage 50 in Leesburg, Virginia, and to those he has brewed for other breweries in the Washington, D.C. area over the past 14 years. He has won several medals for his Kölsch and his Wee Heavy. As to the food, Madden states that much will be locally sourced, and that the primary menu emphasis will be on pizza. Read the entire interview at HolzBrew's Interview with a Brewer: Bill Madden. More from YFGF about Bill Madden and Mad Fox: Here. So you want to open a bar? Here. What's the 5th ingredient in beer? With malt, hops, yeast, water, it's wooden barrels. So says Matt Brynildson, brewmaster for Firestone Walker, as reported by @macgruffus at the National Convention of the American Homebrew Association. Apply pockets of indebted money, gobs of time, catch-22 frustrations ... and inspired lunacy. Julia Battaglini owns a wine/beer/cheese shop in the Careytown district of Richmond, Virginia. For nearly two years, she's been transforming the old building next door into a shiny-new wine bar. The first year was background: financing, and permits, and paying rent on an empty building. Now, she's demolishing, rehabbing, remodeling, re-doing. Follow along with Julia's adventures at the shop's eponymous blog: River City Cellars. She recounts the saga: sometimes hilarious, sometimes frustrating, sometimes small victories. More real evidence of progress! It only seems symbolic if you haven't heard the screaming saws and huffed the billowing orange dust for two days (oh, and dodged the less than enthusiastic store neighbors). I could wax poetic about brick structures and the heartwarming permanency of old school east coast architecture but WE HAVE A PORTAL! As a side note, I do not recommend applying lipgloss immediately before sanding. Sigh. At least the beer flowed freely. Secco Wine Bar is scheduled to open in late 2009. Today: two links to audio of radio programs on food and food issues. National Public Radio (NPR) Morning Edition ran a story on Zucchini Blossoms. "Squash blossoms are nature's way of giving you ravioli." The edible flower of a zucchini is a delicate and ephemeral treat. Blossom fans at a farmers market in Washington, D.C., recommend them stuffed with cheese and baked, fried in batter or eaten raw. But prepare them quickly —they won't last longer than a day! Over the last decade, restaurant owners, food lovers and public health advocates have placed a new premium on eating fresh, nutritious produce from nearby farms. But they encounter major obstacles trying to bring fresh seasonal ingredients to consumers in the Washington region. We get a local perspective on the challenges of getting healthy food from the farm to the dinner table. Keeping with the 'good fermentables' aspect, I'll often inveigle beer or wine (or spirits) into the posts. There are times when bons mots may figuratively threaten to jump out at me from a written page or from my computer screen, and I may almost drop my beer glass out of surprised delight, or as in this case, because it was early morning, I may almost scald myself with hot coffee, which was, by the way, Ethiopian Yurgicheffe. Causing this ruckus was Alan McLeod of A Good Beer Blog and his contribution to a written rhubarb that had begun elsewhere (with a review of a rhubarb beer). There is no absolute concept of "craft beer" that somehow sits as a holy standard against which our experiences as beer fans are measured. It is, in fact, not enough to say "respect beer" - it should be "respect good beer" with the fight sitting only within the meaning of "good" with each glass making its own case in the overall debate. Penumbrae of Mills and Plato! It is not that it is “just beer” so much as running after the increasing parade of the highly priced precious few dulls the true experience of the actually wonderful. Yet, I do have a stalk in this rhubarb. It was, after all, Alan who thought to write this, and not I. My coffee cup needs refreshing. At some point in July, Blue Mountain Brewery —in central Virginia— will have become the first post-1979 brewery in Virginia, Maryland, or Washington, D.C. to package beer in aluminum cans. Using a hand-operated filler and seamer, owner Taylor Smack will package his Full Nelson Pale Ale in 12-ounce aluminum cylinders —at a laborious 20 cases per hour —and ship it to better beer outlets around the commonwealth. At this point, no other brewery in the tri-state area has announced plans to can its beers (except, of course, for Anheuser-Bush InBev which does so at its plant in Willliamsburg, Virginia). In fact, canned craft beer is still an uncommon thing nationwide. As recently as 2005, two DC-area good beer retailers harrumphed to me about beers in cans. To their credit, both soon changed their minds; they now (successfully) stock canned craft beers. better beer in cans is still relatively rare. 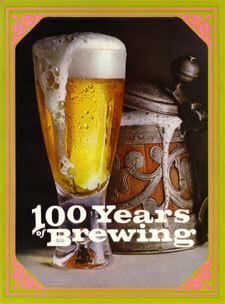 Of the 446 microbreweries and 990 brew pubs known to be operating in the United States, only about 40 can their beer. So, congratulations to Blue Mountain for being a Mid-Atlantic beer pioneer ... and, also, by the way, for growing some of its own hops. The brewery's grounds include a field of Cascade hops. All this good work and tasty beers have not gone unnoticed by consumers. Since Blue Mountain began operations in 2007, its sales have increased enough for the brewery to double production capacity. The beer can is nearing its 75th birthday. It all started in Richmond, where the Gottfried Krueger Brewing Co. of Newark, N.J., test-marketed the first commercially available canned beer to jump-start sales after the end of Prohibition. Beer cans were originally made of steel. The switch to aluminum, resisted by a lot of the industry, was first adopted by Coors in 1959. There are potential health issues associated with beverage cans. They are lined with an epoxy resin which contains biocides. And, recently, there has been worry about cancerous properties of a chemical used in can linings called bisphenol A. The Web site for the North American Metal Packaging Alliance claims "an average adult would have to ingest more than 500 pounds of canned food and beverages every day for an entire lifetime to exceed the safe level of BPA set by EPA." The issue may yet turn out to be a mere dust-up similar to the apple and alar situation of the late 1980s. But there still should be an independent health safety investigation. 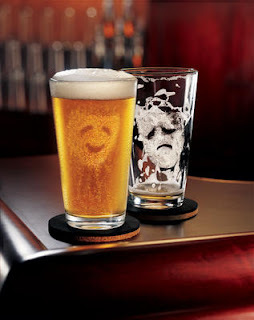 Fear not, beer drinkers! Bottles are not lined with any epoxy or coating; neither are kegs or casks. 1979, by the way, was the year Jimmy Carter in which corrected the Prohibition-repeal error that had effectively prohibited the brewing of beer at home. Soon after he signed HR 1337, SR 3534 into law, what were then called microbreweries began to open, many of which were owned and operated by former homebrewers. The piece is informative for anyone who's good with a camera. My Flickr photos could certainly use the help. And the images themselves are eye-candy, er, beer-candy. @garyvee - Gary Vaynerchuk is the undisputed heavyweight champion of wine and new media. It’s Gary’s wine world - we’re just living in it. @billdaley - Bill Daley writes about food and wine for the Chicago Tribune. He’s one of the few old media types who seems to get new media. @binendswine - Craig Drollett created Twitter Taste Live, an online Twitter platform uniting wine drinkers around the world for virtual tastings. @winecast - Tim Elliott and crew create a consistently entertaining and enlightening wine audio podcast. The choicest tidbits end up on Twitter. @pmabray - Paul Mabray and his company VinTank unleashed a wine social media white paper. Hopefully they’ll focus on wine bloggers next. @ryanopaz and @gabriellaopaz - A twofer: Ryan and Gabriella Opaz are American expatriots living in Spain. Together they are a wonderful pair of international wine ambassadors. @1winedude - Joe Roberts is smart, often clever, funny, unusually insightful, and always interesting to read. @eljefetwisted - Jeff Stai is the owner and wine maker at Twisted Oak Winery in California. What’s not to like about his weird rubber chicken fetish? @lenndevours - Forget California, Oregon, and Washington State wines. Lenn Thompson is on a mission to showcase the wines of New York State. @kevinzraly - Kevin Zraly wrote the “Windows On The World Complete Wine Course,” considered by many to be THE wine book. @sonadora - Megan Kenney is a government minion by day, wine blogger by night, and a great read all day long. The 12th nomination is the creator of this list himself —Darren Rowse. 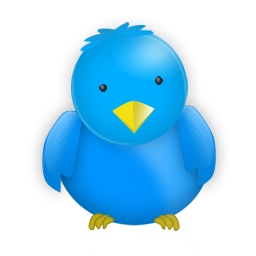 Twitter has opened up amazing opportunity in my life - it helps grow my personal brand, drives traffic to my online businesses and on a daily basis opens up new relationships and networks that I could never have dreamed of having access to. Beer writers, in their attempt to promulgate the pleasures of beer, can sometimes throw up their hands in Sisyphean frustration at lack of success. Restaurants, after crafting gorgeous meals and fine wine lists, can sometimes toss bland International light lagers onto their beer lists as lazy afterthoughts. So it was a moment of schadenfreude for me when I noticed this 'demerit' in an otherwise effusive review of a Japanese restaurant in Washington, D.C.
Sushi Taro's wine list appears to have been designed by someone who would rather you drink saké or beer. Ah! Turnaround is such fair, sweet satisfaction! Now and again, the beer guy takes a detour. 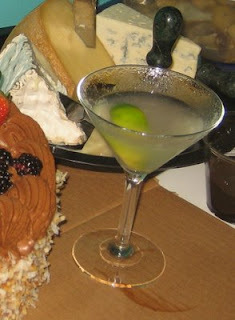 And last evening, on a warm Washington, D.C. almost-summer night, it was to a gimlet, concocted with Scotland's Hendricks Gin. But if I had wanted a beer, I might have consulted the blog DC Beer for its mashup guides to good-beer bars and restaurants, listed by neighborhood. Now ... plan your own Washington, D.C. good-beer pub crawl. Going to a major league baseball game in Washington, D.C. might leave you frustrated. That is, if you're a fan of competent baseball. But if you're a good-beer-loving vegetarian, you won't leave Nationals Park thirsty or hungry. Birds fans would be disgusted to know that the meat industry drugs chickens and turkeys, making them grow so fat that their legs often become crippled under their own weight. Luckily, Orioles diehards can help prevent such cruelty by choosing mouthwatering vegetarian options such as veggie burgers, veggie dogs, vegetable wraps, vegetable panini, various salads, made-to-order sandwiches, and fresh fruit cups as Camden Yards cracks PETA's list for the first time. Comparing the good-beer choices between those two ballparks, I might give the nod to Oriole Park at Camden Yards, for its support of local breweries. Fans will recall the heyday of the mid to late 1990s, when the ballpark sported three Maryland beer stands. Now there's only one, located on the Eutaw Street pavilion. But the D.C. ballpark has the greater variety of good beer —and better access to it. The vendors walking in the stands only hawk Industrial Light Lagers and food like hot dogs. Food booths and the stand-alone 'Beltway Bars' offer a few better choices (such as Dominion and Wild Goose). But the best draught options can be found at the Red Porch stand, overlooking left field. There, on Opening Day, I had a Dogfish Head 90 Minute IPA (9% alcohol by volume). Of course, you can always get some peanuts or crackerjacks. On a summer afternoon, together with a good beer, they just might be anodyne for the bad baseball blues. UPDATE: After reading A Washington City Paper on-line column today that referenced this post, I realized that I hadn't followed my own code of ethics. I had neglected to mention that until July 2008 I had been the Territory Manager for the Clipper City Brewing Company, and that currently I am a representative for a wine and beer wholesaler in northern Virginia, one of whose product is, indeed, Clipper City! The mirror addresses for Yours For Good Fermentable.com — www.yfgf.biz and www.yfgf.us — are hosted by GoDaddy.com. As of 6:11 this morning, it appears that GoDaddy's servers are down and out, or at least suffering massive failures. The principal address at www.YoursForGoodFermentables.com is hosted by Google and so has not been affected. We're reminded that no matter how large and pervasive 'the internet' becomes, it remains a chain of weak links. To the US beer community: a request for assistance. Would anyone have statistics on annual production volume of cask ale in the US? Alex Hall regularly updates his —labor of love— website with names of bars and restaurants (including brewpubs) that serve cask ale. But to analyze the growth of cask ale in the US, I'm looking for the names and annual cask ale production volume of those breweries and brewpubs that produce cask ale (and kellerbier). Please contact me by leaving a comment below or sending an email here. I've often wondered when cask ale died off in the US. When was the use of kegs —and pressurized gas draught— introduced? Was it just before or after Prohibition, or was it earlier? Here's some evidence pointing to the latter. Beer blogger Ron Pattinson has posted a segment from a report on a trip to Britain by some American brewers about the turn of the 20th century. Drawing by means of gas or air pressure has been tried, but the cost and the fact that the English casks are not made to withstand this additional pressure, have much retarded the application of such systems. It is probable, however, that within the near future a gradual disappearance of the pumping systems, to which there are many objections, will take place. The implication is that the Americans were practicing pressurized draught. More overt evidence is provided by a comment left to Ron's post that leaves a link to this passage from 100 Years of Brewing, a reliable historical brewing text, published in 1903. In the year 1888, liquefied carbonic gas [CO2] was introduced by Jacob Bauer, who afterward organized the Liquid Carbonic Acid Manufacturing Company, of Chicago. At first it was used by the mineral water trade only, but soon thereafter was introduced for the drawing and preservation of beer, and at the present time practically seventy-five per cent of all the beer supplied in wood is preserved with and drawn with and under carbonic acid gas pressure, so at this time it is no longer a question or a matter of doubt as to the successful use of carbonic gas for drawing beer. By 1903, most kegs may still have been manufactured from wood, but it appears that at least in the US, they were being served by pressurized CO2 draught systems. Handpulled beer, and by implication, cask-conditioned beer, was fast on its way out. That is, until recent history. Here —courtesy Michael Birchenall, editor and publisher of Foodservice Monthly— is the list of winners in the 2009 RAMMYs, the annual awards of the Restaurant Association of Metropolitan Washington, only announced last evening. YFGF usually covers only things beer, and in a general manner. Then again, I am based in the greater Washington, D.C. area, and I do occasionally eat out. But ... why no award for best beer & spirits program? Good beer is like good music: with an introduction, an exposition, and a coda, it tells a story. Ale is like "a jazz quartet. Each member goes his own way, but all finish together. A lager, in contrast, is like a string quartet. It is a seamless composition." But the Blues ... the Blues is a shot of whisky. In the early 1980s, I became familiar with blues singer Koko Taylor through her recordings: a big, cutting, chainsaw of a voice. But those recordings did not prepare me for the one time I saw —and heard— Ms. Tayor live at her club in Chicago in 1992, after her successful comeback from health complications. Her take that night on Mannish Boy —I'm a W-O-M-A-N— was so gutsy, so real, so scary, that it was —at the least— the equal of Muddy Waters' male manifesto. At the time, I was in Chicago studying brewing at the Siebel Institute. But that evening, amazed and thrilled, I had whiskey. Koko Taylor died Wednesday 3 June 2009 at age 80. Seemingly neglected in recent fervid discussions of pairing beer with food has been the technique of preparing food with beer. The better recipes do not shout: I'm beer! I'm here! Rather, they introduce beer ingeniously and quietly, both as a cooking liquid and as an ingredient that is only one subtle part of a tapestry of flavor. Chef Patrick Dinh of Tuscarora Mill in Leesburg, Virginia is a practitioner. Witness Dinh's use of beer at a Clipper City Brewing Beer Dinner (3 June 2009). He braised pheasant with a weizen dopplebock and finished it with a pale ale velouté sauce. (A velouté is one of the classic French sauces: stock thickened with a roux.) The ale added a meaty character to the velouté and a nuance of spicy bitterness. But if you hadn't known that Chef Dinh had used beer, you would have just appreciated the depth of flavor. He also made a béarnaise, substituting a maerzen (German-style amber lager) for the wine normally found in this reduction sauce of vinegar, wine, tarragon, shallots, egg yolk, and butter. with curry aioli, pickled daikon. with 'beer Bearnaise', whipped potatoes, Brussels sprouts, smoked bacon. DC Foodies on Twitter: 40 Foodies, 3 Chefs, 13 Restaurants, 3 Food Trucks, 1 Gourmet Storehttp://bit.ly/127Kcf. Baltimore, Maryland, Oriole's Camden Yards is No. 9 on PETA's top 10 list of vegetarian friendly major league baseball ballparks. http://bit.ly/H77X7. 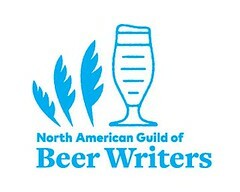 Interested in writing beer history? A British beer historian offers a quick lesson in how to find brewing records: http://bit.ly/Htf7S. 91.4 % of polled SAVOR attendees said economy has NOT affected beer purchases. (Those attendees could afford the $95 ticket!) The rest of the stats http://bit.ly/6D6VW.